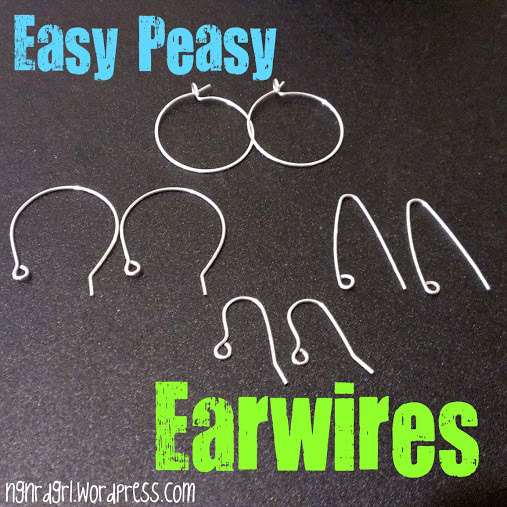 In Easy Peasy Earwires Part 1 we reviewed required techniques, tools, materials and how to make the French Hook (your basic) earwire. In addition, we'll also take a look at some inspirational projects and resources. Now let's get down to business. 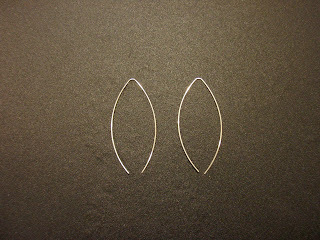 First up, The C-shaped earwire, which is also known as the French Hoop earwire. 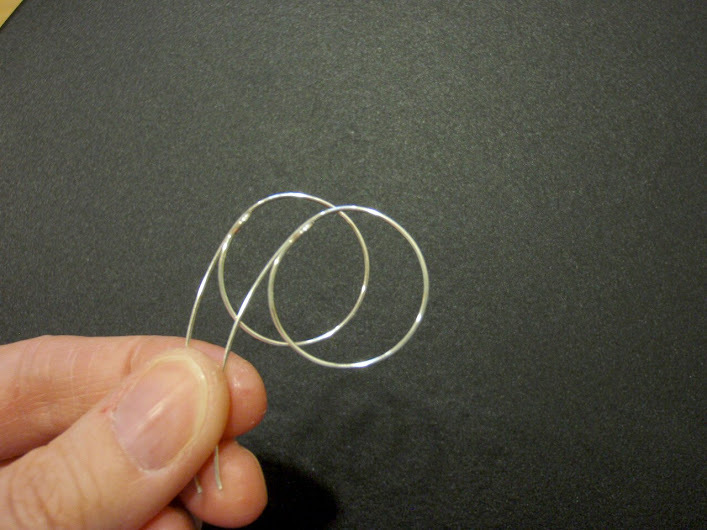 To make this earwire, use a larger mandrel then the pencil mandrel. I am using a round makeup tube. 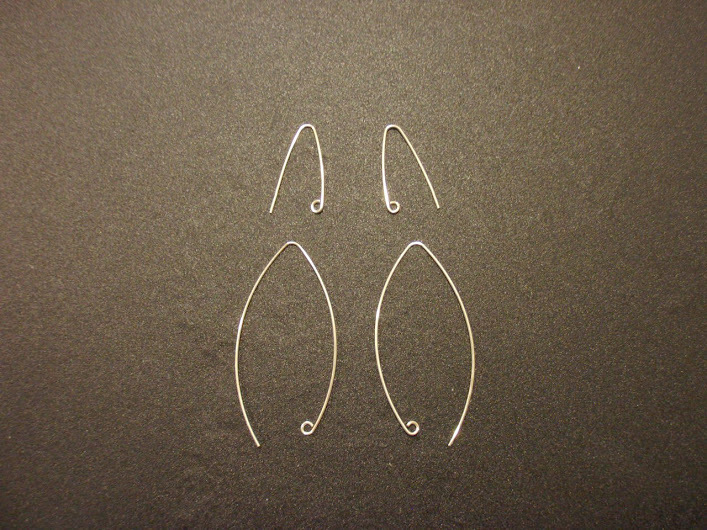 Experiment with different size mandrel for different styles of earwires. Cut two even lengths of wire. 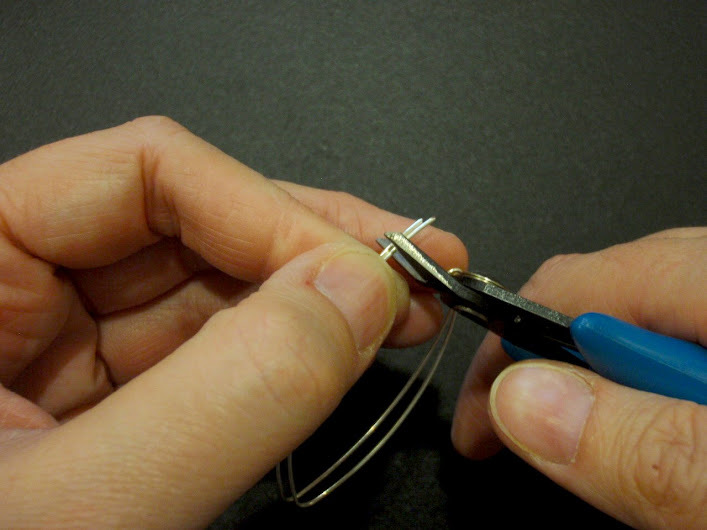 You can create your p or lollipop eyepin either before or after bending the wire. I elected to do so beforehand but sometimes its easier to do it afterwards. I also did a lollipop eyepin, but I think the P eyepin actually turns out nicer. Bend the two wires over the larger mandrel. It will come off the mandrel looking like this. Next, bend the tail end gently away from the eye with your chain-nose pliers. Cut the excess wire from the tail end, making sure to cut them both at the same time to ensure that they are evenly cut. To finish these up, use the cup burr to file down the tip of the earwire then use your mallet and bench block to harden the wire until it is no longer springy. 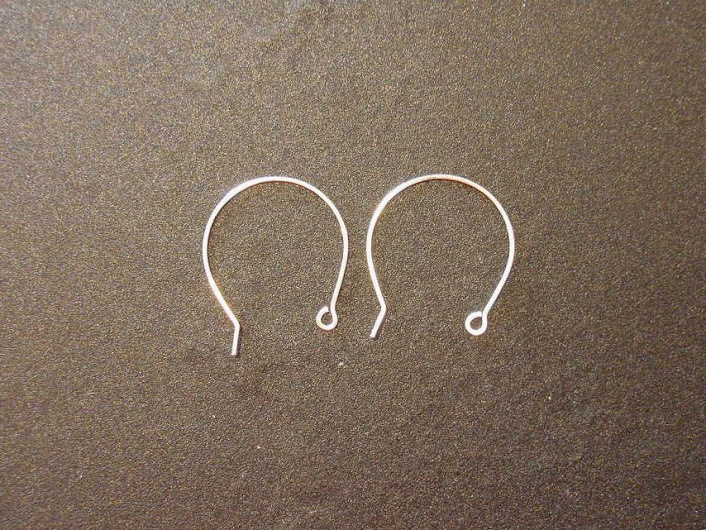 Complete these last two steps the same way as for the french hook earwire we did in the earlier post. 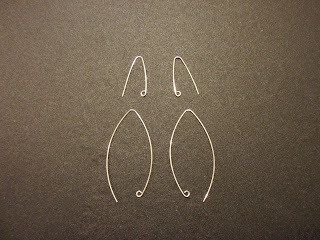 Your second pair of earwires is now complete! I prefer using the mallet over the hammer for these earwires, since it doesn't have as well of a defined spot for your ear to rest. However, you should experiment to see what you prefer. 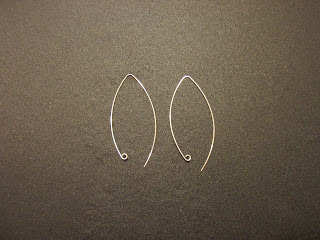 This is such a graceful looking pair of earwires. In many ways it is easier than the french hook. There is also a really simple technique to make a bunch of these at once. 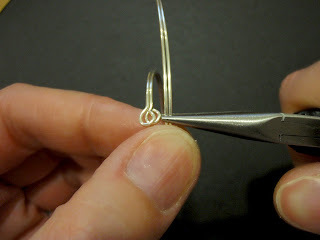 Instead of wrapping just two cut wires around your mandrel, coil a single wire numerous times around your mandrel and then cut your earwires from this coil. Cut two even lengths of wire. Using your needle nose pliers, bend the wire in half. You will now have two graceful V shapes. Make P or O eyes on one end of the earwires. I normally go with the O eyepin, but I really like how the P eyepin looks with this shape. 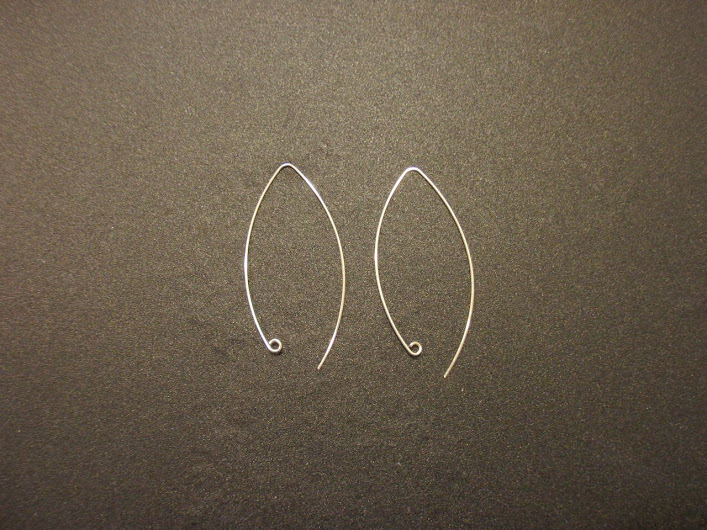 Cut the ends of both earwires at the same time to make sure that they are even in length. 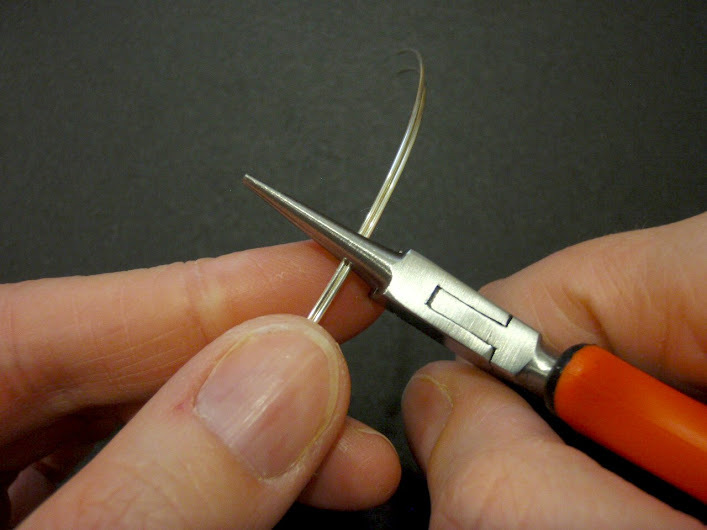 Use the flat side of the cutters to ensure that the earwire has a flush cut. Experiment with different lengths! The smaller one is the one featured in the title image. It looks like cute little safety pins while the longer ones are really graceful looking. After filing the tip with the cup burr or a metal file and hardening with your mallet or hammer just like we did in Part 1, you are done! 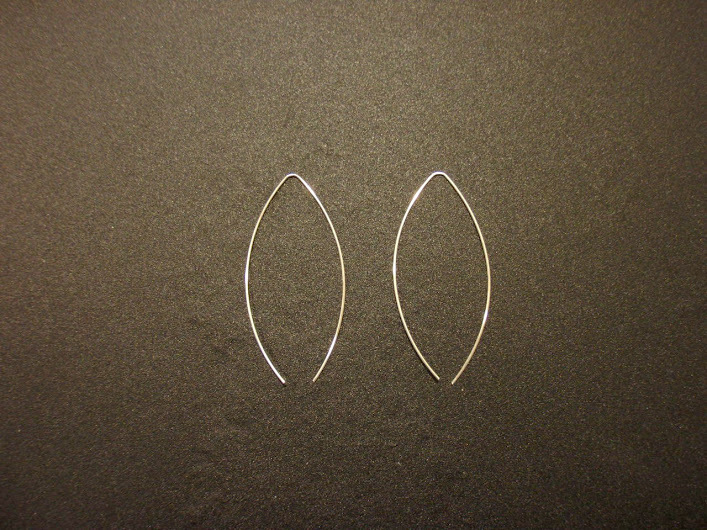 I made two different versions of this earwire. The first one, as shown in my post title picture, was really short. I thought it looked like a safety-pin. This might be cute for some projects, but the longer version is much more graceful. Experiment with different lengths to create a new look. 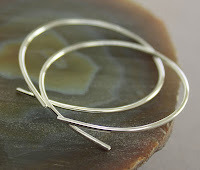 This V-shaped earwire is super easy!!! Cut two even lengths of wire and make eyepins. 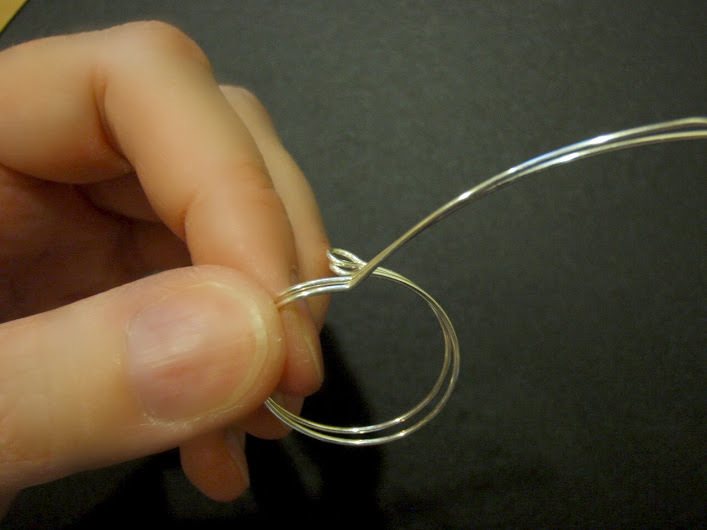 Typically we make the eye parallel to the curve of the wire for earwires. This time you will want to make them perpendicular to the curve. 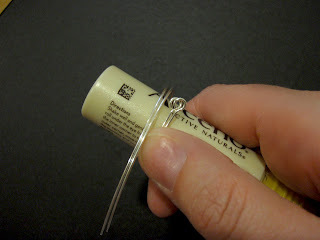 Wrap your eyepins around a mandrel. Make sure to press the eye down to ensure a round shape. Here's a profile of how it looks now. Notice you can't see the eye pin from the side. That's because it is in line with the shape of the hoop. Bend the tail end of the wire right where the wire overlaps the eye. Here is how they look in profile now. Next cut the excess tail. 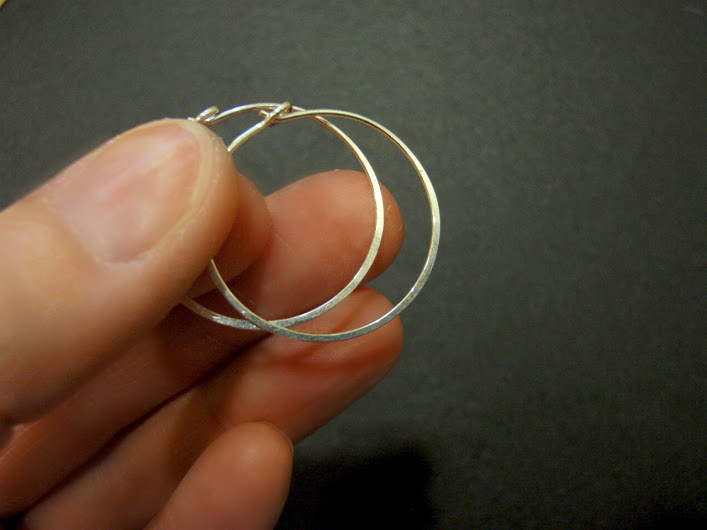 After hammering the earwire, they will most likely need to returned the mandrel to ensure roundness. Don't forget to file the ends. Here is how they look when completed. 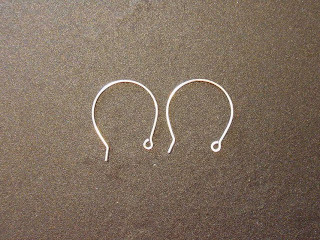 This hoop earring can be worn plain or you can add charms to it. 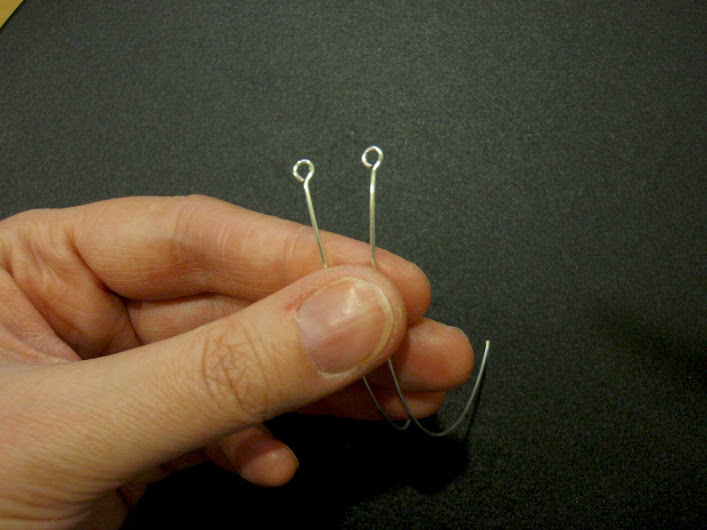 Alternatively, you can make a hook instead of an eye. I like to hammer them flat. Not only does it make it all shiny but it will help prevent the wire from rotating. Just make sure to avoid hammering where it will rest on the ear. Once I got these earwires down, so many projects opened up to me. I thought about all different shapes I could make with a different sized mandrel. You can also use these techniques to make unique findings. Your options are only limited by your creativity. 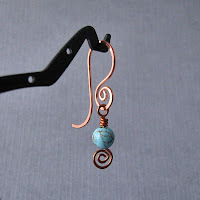 Who says the earwire is just for hanging your earring from? Make the earwire part of the art! Oh, the possibilities! Click the above pictures for a link to the pinterest pin and the original links. 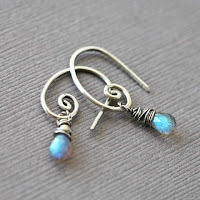 Fusion Beads - This website has some great inspirational projects and tutorials. Making a French Hoop Ear Wire - A nice tutorial on how to make multiple earwires at once; however, they skip hardening it, so I recommend adding this step to the end. 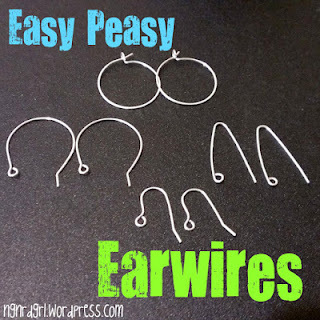 I hope this inspires you to make your own earwires. Let me know if you have any questions. Feel free to post below. Wow! How Easy and Cute!! Thanks for stopping by my blog earlier!! Thank you for stopping by back! Haha! They really are easy! 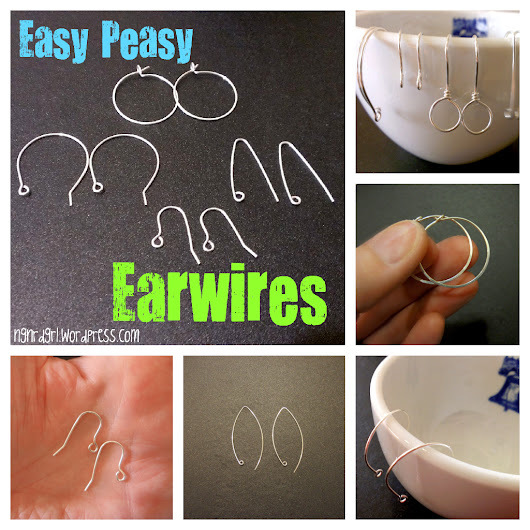 What a wonderful earwires tutorial. 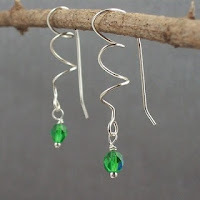 I love to make earrings and jewelry! You've done a great job with your pictures! 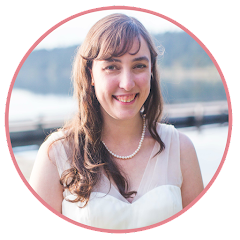 I'm visiting from Pin Me Party, and I'll be pinning this! I'm not at all crafty, but both of these tutorials look so straightforward! The step by step with photos makes all the difference. I love the swirly ones at the bottom! This is going on my list of things I'll learn once the baby is just a bit older!